Easy access to friendly neighborhoods, shopping, history, and more! The Most Exciting Corridor in Harford County! Welcome to the Route 40 Business Association website. 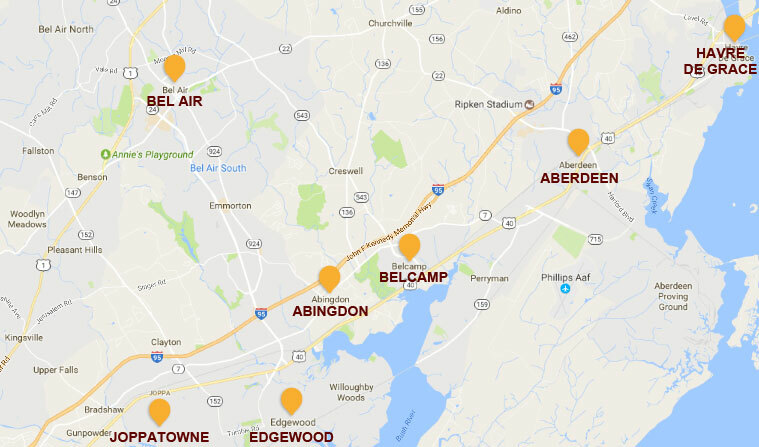 We are thrilled to be a part of the “Chesapeake Science and Security Corridor” which traverses Harford County through a wide range of diverse and exciting residential, commercial, and industrial areas. Providing quick and easy access to homes, work, cultural & scenic areas, and more, Route 40 is a vibrant community, economic, and cultural highway through the heart of southern Harford County. Come explore Route 40 where you can find easy access to friendly neighborhoods, an array of shopping opportunities, important historical and cultural sites, family-oriented community activities and more! We feel the Route 40 Corridor provides a sense of place, history, economic livelihood, and more. Route 40 is definitely worth investing in! The Route 40 Business Association has led the way in setting new standards for business and community in Harford County. See how you can become a part of this amazing organization. We host a variety of events, such as luncheons, FREE Meet, Greet & Eat events, and Galas, all of which are represented along the Route 40 corridor. The Route 40 Business Association is proud give out scholarships each year. Whether you have questions about becoming a member, or simply want to connect, we’d love to hear from you. Route 40 is made up of an awesome group of Volunteers serving the Route 40 area. It has been a privilege being a part of such an active community organization. Before joining the Route 40 Business Association, I felt like I had very little influence on the local community and its governance. After becoming involved with the Association, I have realized that we do have an influence, and now I feel like I have an obligation to be involved to help make our community better. Join the Route 40 Business Association Today!